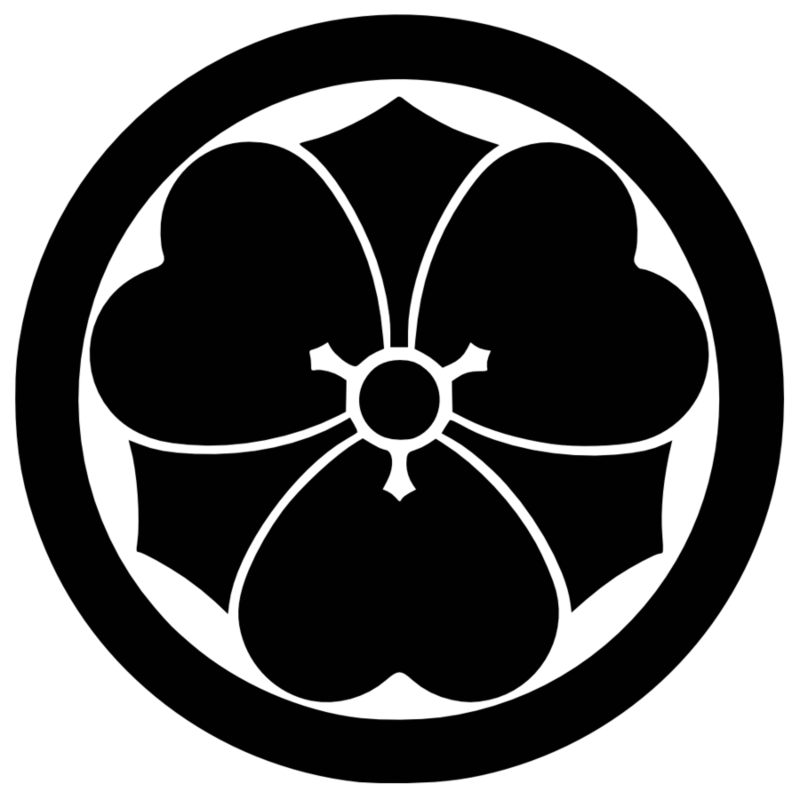 The Aoi Koyamakan (ah-oy koh-yah-mah-kahn- Blue Hills Hall) Dojo (dou-joh- place to practice a way) derives its name from both the location (the Blue Hills of Boston, Massachusetts) and the founder of Tenshin Shintai Ryu Heiho, Koyama Oguri, Soshi. 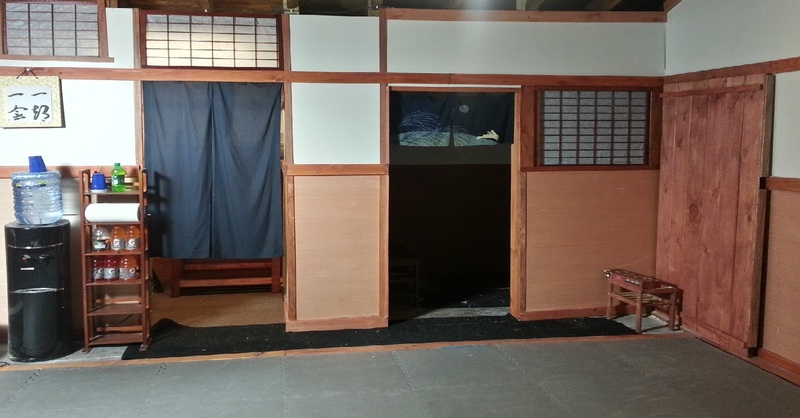 The dojo was constructed in a detached 2.5 car garage. Preparations to the space included adding walls, windows, and insulation. 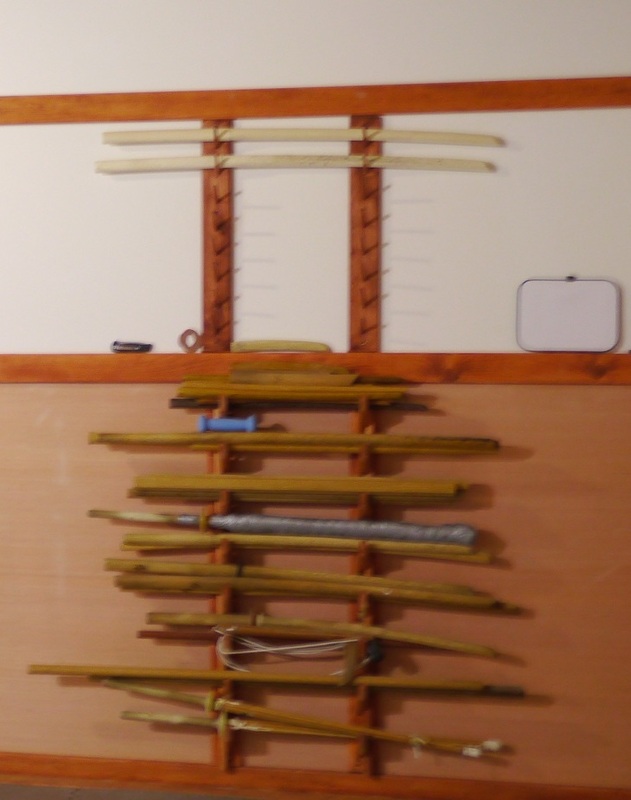 The dojo is finished in the shoin-zukuri (the so-called 'Samurai')-style, with a tokonoma (alcove) featuring a rough-hewn tokobashira (central post) made from an original roof purlin. 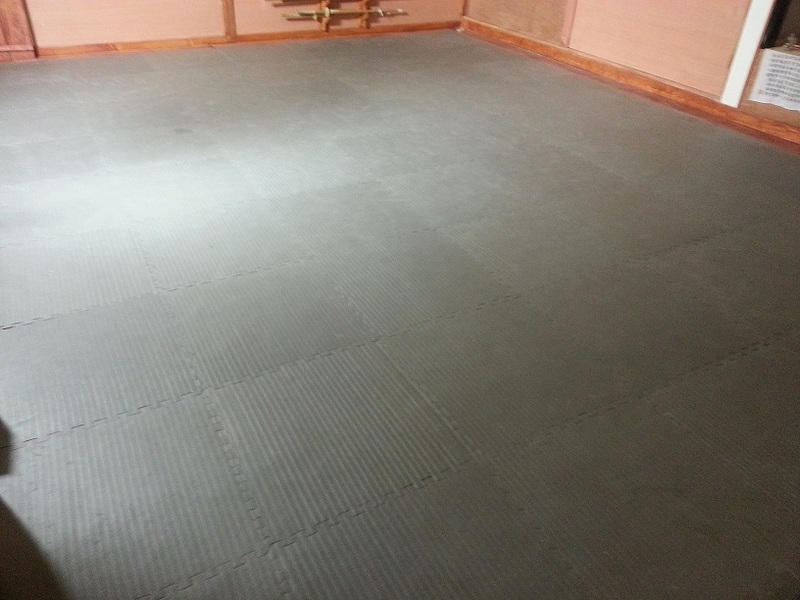 The keikojo (practice area) is 14' x 21' and is covered in foam tatami (mats) for safe rolling and falling while being firm enough to do standing, kneeling and weapons work without risking joint damage. 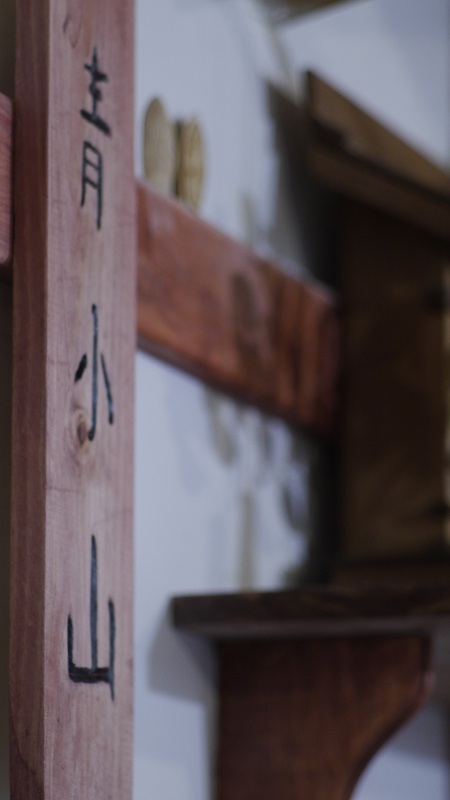 Only tabi and bare feet are allowed on the mats. 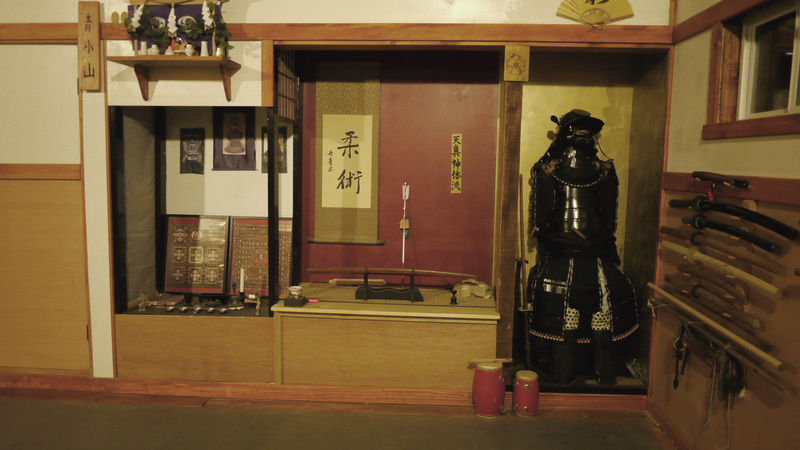 All of the bukikake (weapons racks) were built by hand; there are training tools (wooden swords, dirks, etc.) on the lower kake available for use (with permission) until you acquire your own. The higher kake is for personal weapons used while in class. 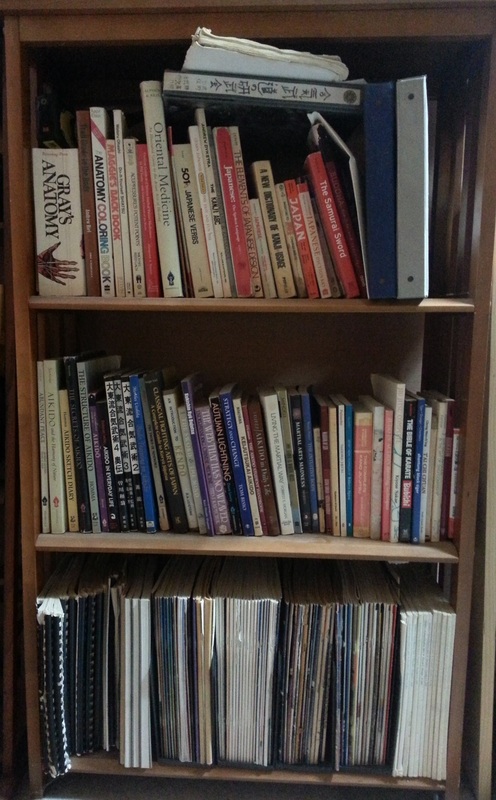 There is a small (30+ title) lending library for members that includes books and periodicals on Japanese language, history and art as well as books on anatomy and healing. 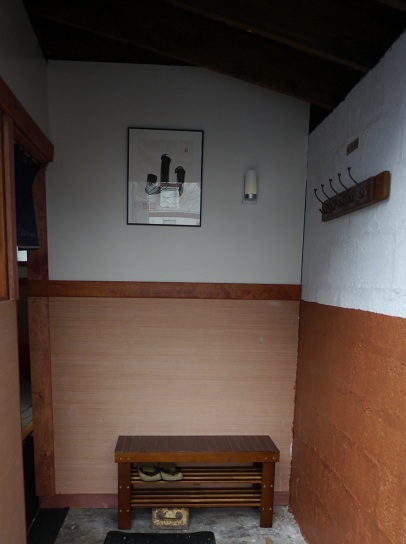 The dojo has one 5' x 6' kigaejo (changing room) with storage for bags and clothes during class.